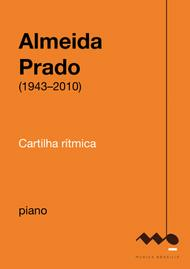 Composed by Almeida Prado (1943-). Etudes and Exercises, South American, Afro-Brazilian. Individual Part. 218 pages. Published by Musica Brasilis (S0.362219). 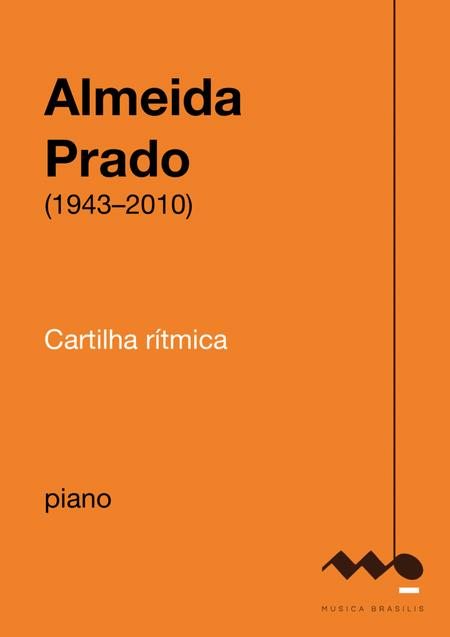 Composed by Almeida Prado (1943-2010), the "Cartilha Rítmica para Piano" (Rhythmic Primer for Piano) invites us on a musical journey through the myriad possibilities of rhythmic and metric articulations practiced in 20th century music, including in his own work. In addition to the scores, this edition includes explanatory texts by Salomea Gandelman and Sara Cohen, besides audio files played by Sara Cohen. The exercises were created to consider all technical resources on the piano. Yet they are much more than a simple tool for students to simply reproduce multiple rhythmic structures, isorhythmic figurations, alternations between strict and free tempos, fixed pulses displaced by irregular accents, spatialization of intervals and rhythms, combinations of syncopations and tuplets in free- flowing rhythms, as well as different time signatures, from the simplest (such as 2/4) to the most unusual (10/16, 11/16, 13/16, 7/8, 4/8, 5/2, 15/32, 19/8, etc.). Prado's inexhaustible creative imagination also offers a summary of techniques and languages used in Western music, from Gregorian to Renaissance music, from Bachian inventions to the march honoring Gottschalk, from Czerny's exercises to the birds of Messiaen, his master, reflecting his strong personality, which brings these multiple languages together in complete harmony, from tonal triads to politonal superpositions, to the free structures that characterize a large portion of 20th century music, as well as his fascinating re-reading of the rhythms of non-European cultures, such as African-Brazilian and Hindu.